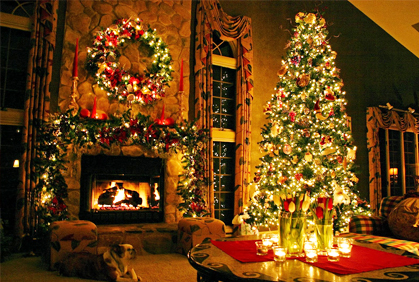 The centerpiece of any well-decorated holiday home is a beautiful Christmas tree. 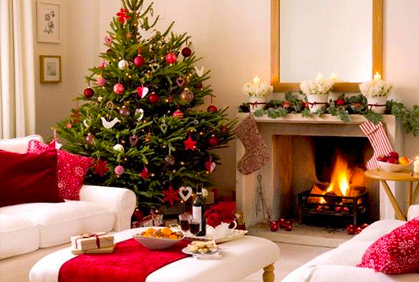 Nothing will put you and your guests in the holiday spirit more than a festively trimmed tree. The right embellishment influences color palette and motif for the rest of your seasonal décor, and ultimately sets the mood for any holiday gathering. The options for Christmas tree décor are absolutely endless. With the overwhelming number tree varieties, ornaments, and holiday inspired decorative accents at your local Christmas tree shop, it can be quite overwhelming for the do it yourself designer to narrow down a décor scheme. Browse our online holiday idea guide to discover fabulous ways to deck out your tree. Another important concept to understand when decorating any beautiful tree is the idea of layering. If you are adorning your evergreen with Christmas tree lights, be sure to string them on branches prior to adding any other decorations. This ensures that all ornaments, ribbon and garland are lit with a lovely soft back glow. Next, if your branches are thin or bare, select festive holiday garland and seasonal silk floral elements to insert as filler, giving the tree that fabulous lush look of designer varieties. Keep this tip in mind when browsing your local Christmas tree store, as it is an excellent way to cut costs when purchasing. Cheap pre lit artificial Christmas trees can be transformed to look like those thick costly varieties with a just a few creativily thoughtful touches and well-placed décorating ideas. 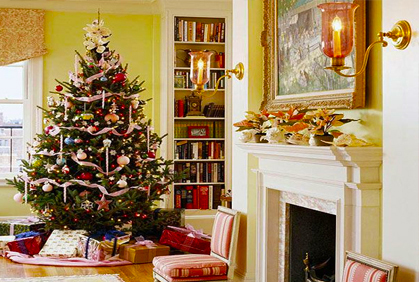 What festive holiday home would be complete without a beautifully trimmed Christmas tree? 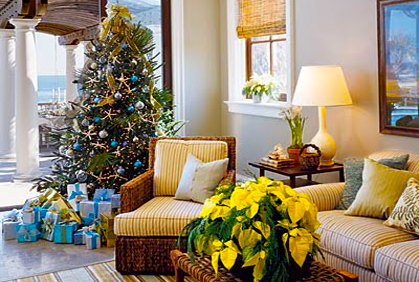 A tree is oftentimes the key element to tie together all seasonal designs throughout your home. Whether you are decorating a beautiful natural evergreen or a retro silver Christmas tree, there are a few design tips to keep in mind. Some of the best Christmas trees come in all shapes, colors and sizes, so picking the perfect variety for your home can be tricky. Our expert designers suggest combining the latest looks in holiday décor with more traditional elements for fabulous visual interest and contemporary charm. One of the hottest trends for 2017 is one of a kind upside down Christmas trees. The most popular Christmas tree décor of 2017 features beautiful customized elements. 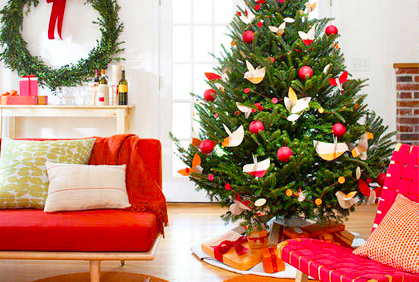 Decorating the tree provides a fabulous creative outlet to make holiday décor all your own. The easiest way to accomplish this is through unique custom Christmas tree ornaments. Tree trimmings are available in an endless variety of sizes, materials and motifs. This year, why not think outside the box and personalize your tree with custom embellishments like greeting cards hanging from gold ribbon as ornaments or a garland of family photos strung together. If you do not want to commit to an entire tree, this a great idea for a small tabletop Christmas tree in your home’s entry way. Whether you love large live Christmas trees or prefer small table top varieties placed throughout your home, decorating these classic holiday symbols will likely influence the rest of your seasonal décor. For this reason, it is important to select a beautiful color palette and unique motif to ensure that the Christmas tree becomes the focal point of your home. The first step to decorating is selecting the tree. No matter if you choose artificial Christmas trees or beautiful natural versions there are a few key items to look for. 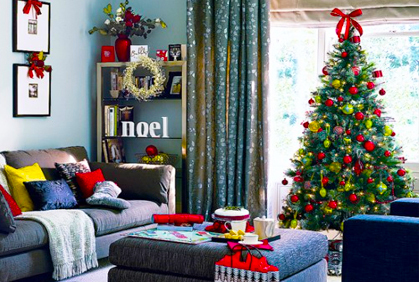 First and foremost evaluate height – a 12 ft Christmas tree will look very out of place in a small room and vice versa. This is especially true when purchasing a pre lit Christmas tree. Decorating your Christmas tree is a fabulous opportunity to let your imagination run wild. Whether you prefer traditional red and green holiday décor or a whimsical pink Christmas tree, any theme or motif you dream of can be translated into your trimmings. Highlight your family’s personality or unique interests by creating one-of-a-kind themed trees that reflect your favorite characters, hobbies or sports teams. Everything from garland to the tree topper and ornaments can be coordinated to embody this theme. For example, one of the hottest Christmas tree designs for 2017 feature Disney characters. Translate this classic theme in a fresh way with a black Christmas tree decked out in red garland and Mickey or Minnie Mouse ornaments.